Apply Extrait Liposomal once or twice a day after cleansing the skin, but before using a day or night cream. Apply sparingly: 1 to 2 squeezes of the nozzle are sufficient for the whole face. An additional dose can be applied to the neck and/or neckline, if re­quired. Extrait Liposomal rege­nerates and moisturises. It can never replace the beneficial effect of day or night cream. These products are still essential for efficient skin care. and replace substances that the skin lacks with increasing age. The use of liposomes leads to a much higher rate of replacement than was previously possible. The skin has a fresher, more beautiful appearance. Even after just a few days, the surface of the stratum corneum is much softer and more supple. 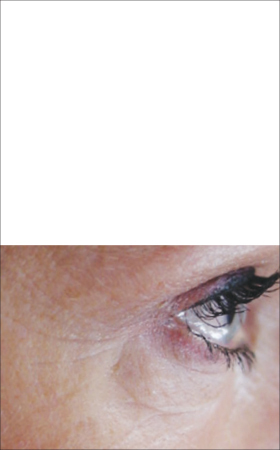 Matrixyl® 3000 is an active anti-wrinkle agent, which is a fragment of natural collagen (the framework of skin tissue). It supports the skin’s own moisture regulation, thereby increasing its elasticity. It also stimulates the skin’s own natural repair processes. The skin’s structure is strengthened, giving it greater volume. Unevenness and wrinkles are filled from within and visibly reduced.